In a prior post I incorrectly stated the .308 sniper rifle would only be available on the civilian market if there was a local military contract. In fact the rifle already has a contract in the country of manufacture; Caracal plans to sell the overrun rifles from this UAE contract. 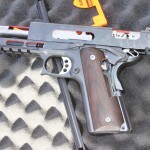 The 1911’s on display at SHOT Show 2015 were literally serial numbers 1 through 4 of the prototypes. There are currently deciding between eight variants for production to sell overseas. The new model F should be arriving at the tail end of this month with another shipment following closely in early May. 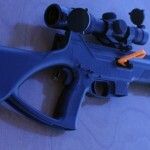 Firearms to replace the prior recall will take precedence. 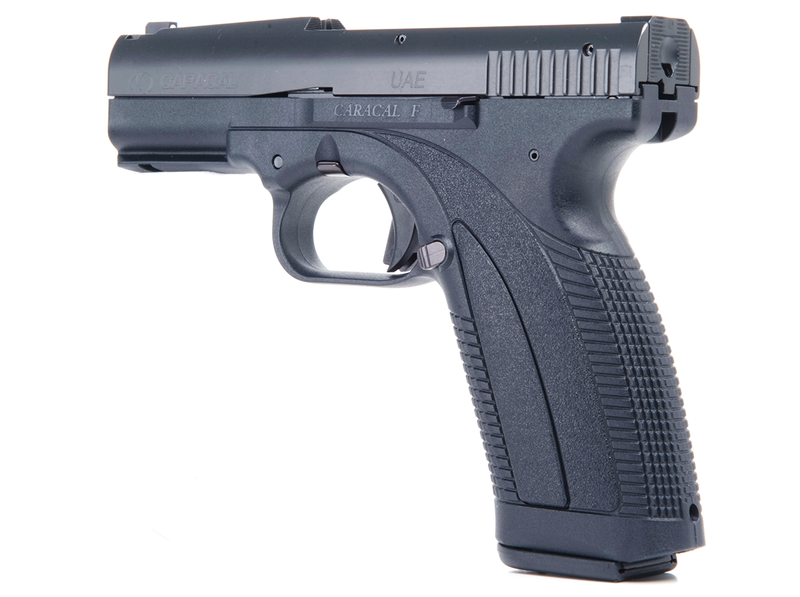 Some of the enhancements include an upgraded trigger (which has been reshaped) and slide guide. The overall changes are expected to eliminate any safety concerns. The firearm has not made any radical deviations from the Bubits’ design. The looks and ergonomics are the same. Regular sights and Quick Sights (QS) models will be available. The model C is currently going through testing for the equivalent changes. Other calibers, like the previously seen .40SW, won’t be considered until current plans have come to fruition. 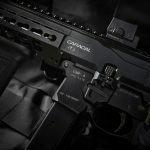 Caracal plans to continue building their distributor network. Caracal USA, currently in Idaho, will be increasing their local presence in the future with the goal of handling all warranty repairs in-house. There will no longer be no third-party importer. There are no plans to bring the Caracal AR15 series into the united states. Their standard piston model has been seen at defense industry expositions around the world.